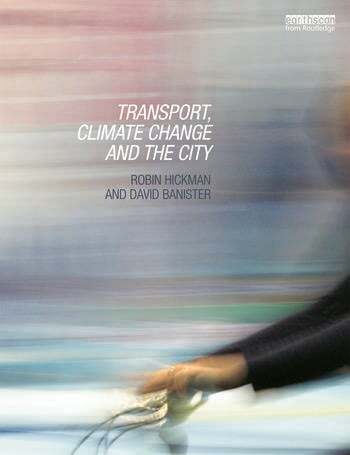 This book seeks to develop achievable low CO2 emission futures for transport in a range of international case studies. The aim is that the scenarios as developed, and the consideration of implementation and transition issues, can help us plan for and achieve attractive future lifestyles at the city level, rather than ‘sleepwalk’ into climate change difficulties, oil scarcity, poor qualities of life, and to continue with the large casualty figures. High fuel prices in the future may mean that parts of our cities and wider regions become redundant and residents suffer from low levels of accessibility. The topic is thus critical, with transport viewed as central to the achievement of the sustainable city and reduced CO2 emissions. The book’s original content and presentation draws on contemporary culture to demonstrate the need for a wider and more transparent debate on future travel behaviours and lifestyles, acceptability and implementability, and the potential for using different means to sell a different but attractive future. Professor David Banister is Professor of Transport Studies and Director of the Transport Studies Unit at University of Oxford, UK. Dr Robin Hickman is a Senior Lecturer at the Bartlett School of Planning, University College London and Visiting Research Associate at the Transport Studies Unit, University of Oxford, UK.